Jasmine tea is one of the most famous scented teas in the world. This tea rose to popularity under the Ming Dynasty during a time when flowers were everywhere. Blossoms were depicted on fine China and incorporated into ceremonial and cultural events. 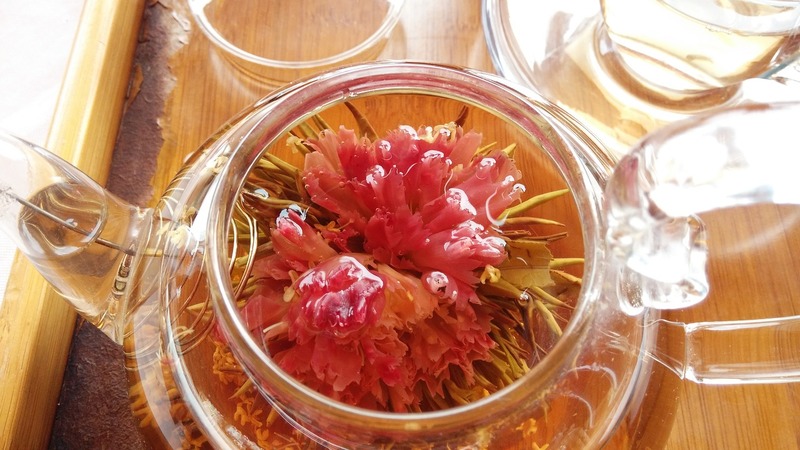 It's no surprise that tea masters were able to find a way to spice up traditional tea blends with delicate floral blossoms. Jasmine tea's popularity expanded outside of China when it became one of the first exported teas in the late 1800s. The tea reached western shores and soon developed a devoted following among tea drinkers. Traditionally made by infusing green tea leaves with jasmine flowers, jasmine green tea is renowned for its health benefits. Discover the delightful flavor of jasmine green tea and uncover how it makes its way from tea gardens to your tea cup. Jasmine tea is made by infusing tea leaves with jasmine flower blossoms. 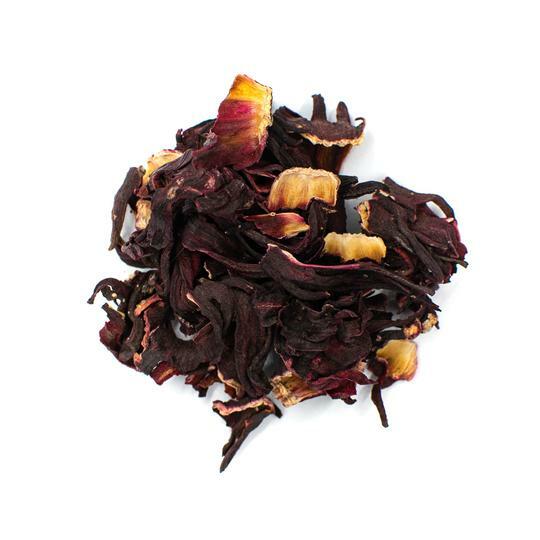 Jasmine tea can be made using any of the true teas from the Camellia sinensis plant as a base. These teas include white tea, black tea, oolong tea, and green. Some jasmine teas can also be made using an herbal tea base, although this is less common. 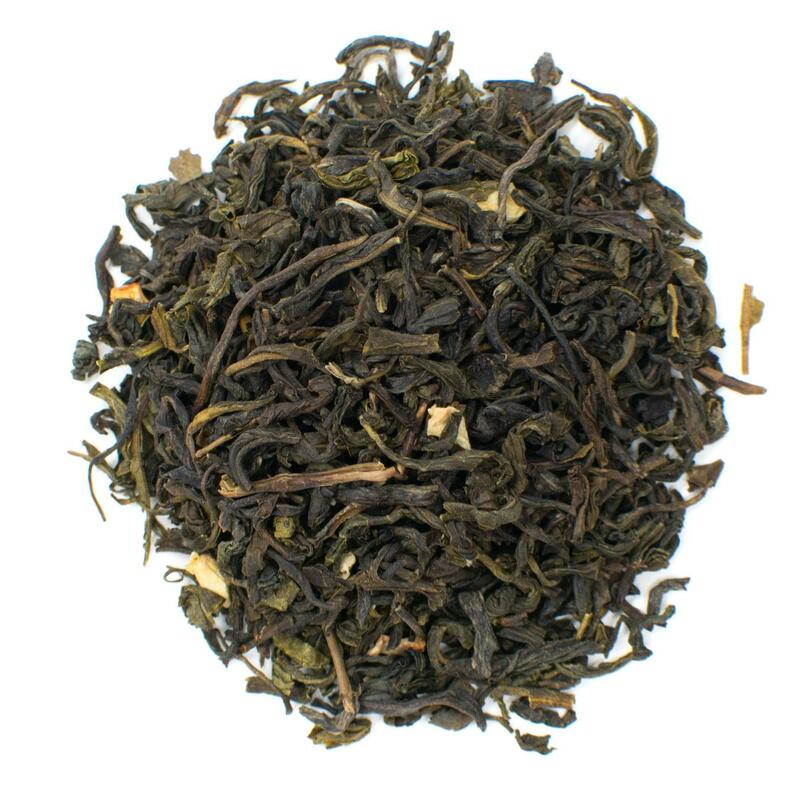 Jasmine green tea is made by infusing green tea leaves with jasmine flowers. It has a mild caffeine content. 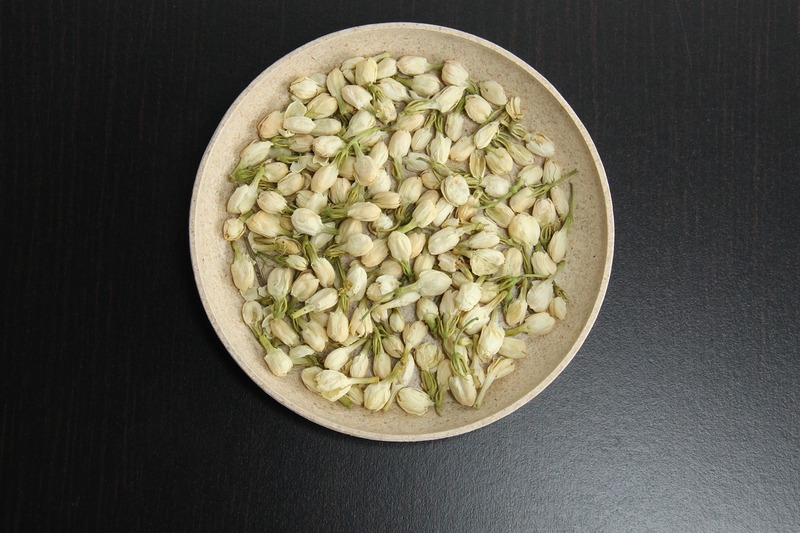 Some jasmine green teas contain dried flower blossoms in the loose leaf tea. Others simply use the blossoms to scent the leaves and then remove the flowers before packaging. Most jasmine green teas come from China. Chinese jasmine green teas are generally made using tea leaves from the Fujian province. Jasmine tea is typically made using flower blossoms from two types of the jasmine plant: Common Jasmine or Sampaguita. Jasmine flowers are intensely fragrant and native to the Middle East and Asia. These flowers are commonly grown in India, Nepal, China, Florida, France, and Portugal. How Is Jasmine Green Tea Produced? Jasmine green tea is classified as a flavored tea. Green tea leaves are scented using fresh jasmine blossoms or jasmine oil. The green tea leaves are harvested in late spring when the leaves are the freshest. The leaves are then dried immediately using sunlight, steam, or roasting methods. Green tea leaves that are dried in sunlight tend to have the most delicate flavor. Steaming is the most popular method for Japanese green teas, while Chinese green teas are typically roasted. Steamed green teas develop more vegetal and sweet flavors. Roasted green teas are stronger and feature smoky or toasted notes. After drying, the leaves are stored until the jasmine flowers are ready for harvesting in mid-June. The flower buds are plucked at mid-day when the buds are closed against the sunlight. They are then transferred to cool warehouses for scenting the green tea leaves. As the jasmine flowers are subjected to cooler temperatures, they reopen and begin to scent the tea leaves. Tea leaves are highly absorbent and start to take on a sweet fragrance when they come into contact with the jasmine flower. Once the jasmine blossoms begin to dry, they are replace with new, fresh buds. The scenting process may be repeated up to 10 times depending on the tea master. The leaves and flowers are subjected to drying one final time to seal in flavor and remove moisture. The jasmine flowers are then either removed completely or packaged with the green tea leaves for sale. Jasmine green tea is available in several different forms include tea bags, loose leaf teas, powders, and jasmine pearls—hand rolled balls that slowly unfurl when infused in water. Green tea has been associated with a lower risk of heart disease. Most research points to the presence of antioxidants as the source of these health benefits. Green tea may help lower blood pressure and can reduce inflammation that leads to clogged arteries. Jasmine green tea also has very few side effects, making it a great addition to your daily health regimen. Make our Organic Jasmine Green Matcha Tea as a latte when you’re craving sweets. Drinking green tea is one of the most famous diet aids. Green tea is often sold as a weight loss supplement. Green tea has been shown to accelerate weight loss by increasing body temperature, which signals the body to burn fat stores. Jasmine green tea may help you lose weight by speeding up metabolism. Jasmine green tea also tastes great and is calorie-free. Replacing sugary sodas and juices with jasmine green tea can reduce your caloric intake and get you on track to reaching your weight loss goals. The slightly sweet flavor and the aroma of the fragrant flowers can help satisfy a sweet tooth. Jasmine green tea helps to support overall health thanks to its high concentration of antioxidants and vitamins. 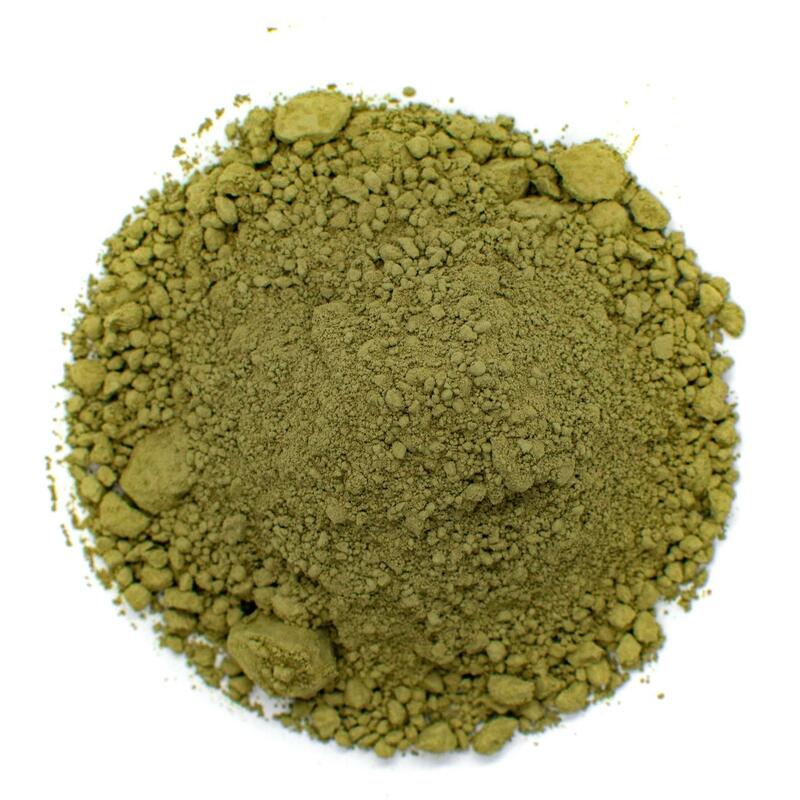 The antioxidant EGCG in green tea is a potent detoxifier. EGCG helps to eliminate free radicals from the body that can cause oxidative stress. Oxidative stress has been linked to higher risk of serious illness including neurological disease, cancer, and premature aging. 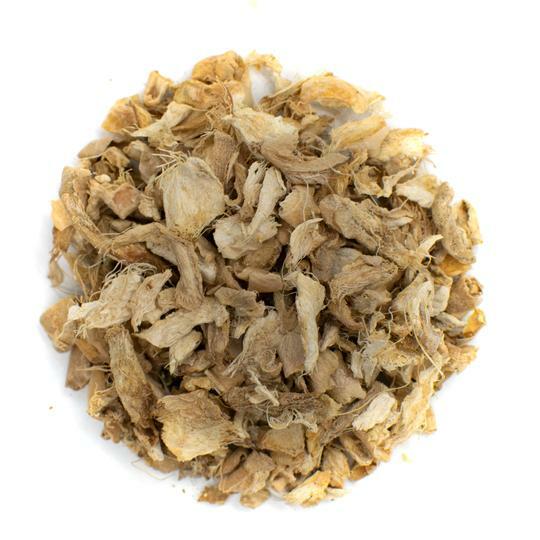 Jasmine green tea also contains vitamins and minerals that help to support immune health. Drinking jasmine green tea everyday can help to fend off the common cold and flu. Green tea also works as a decongestant and a warm cup of jasmine green tea can help reduce coughing and congestion. To brew the perfect cup of jasmine green tea, it's important to start with high quality tea ingredients. Always use filtered or spring water for the best results. Never use tap water or distilled water as they don't develop flavors well. You should use about 2 grams of loose leaf tea for every 8 ounces of water. 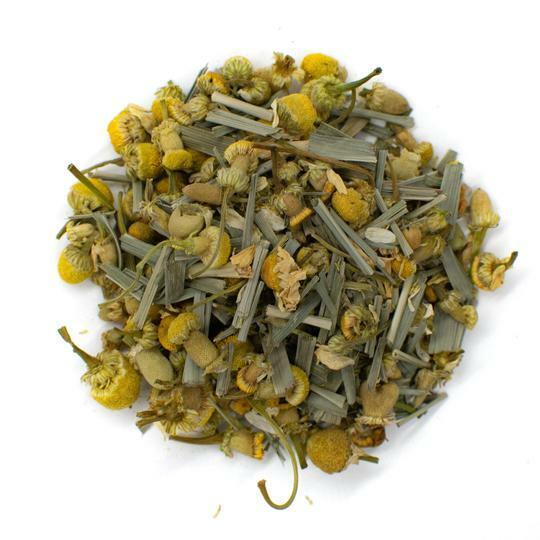 Our Jasmine Green Tea with Flowers is a high grade blend with delicate, sweet flavor. We recommend using loose leaf tea instead of tea bags because of its higher quality. Loose teas are made of the entire leaves of the tea plant, which easily expand to infuse flavor. Tea bags contain broken leaves and dust that doesn't taste as good. Tea bags also restrict the leaves, preventing them from infusing flavor properly. Look for organic jasmine green teas to ensure your tea is free from harmful chemicals that can also alter flavor. In addition to organic tea, you can also choose fair trade certified teas to buy products that are produced ethically. You can also infuse your own organic green tea leaves by adding fresh jasmine blossoms from your garden when brewing. The jasmine flavor will be more mild compared to professionally infused tea blends. 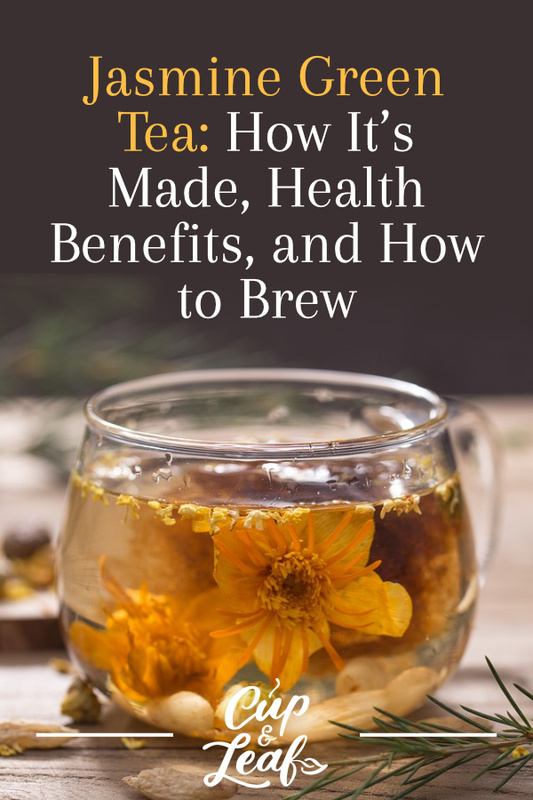 Jasmine green tea should be brewed with hot water, not boiling water to prevent bitter flavor. Brew jasmine green tea with water between 160 to 180 F.
Use a temperature-controlled tea kettle for the most accurate results. If you do not have one, bring water to a boil and allow it to cool for 2 minutes before adding in the tea leaves. Green teas steep best when the heat remains in the cup. Use a lidded tea cup or mug to keep all the heat inside the vessel when steeping. You can also place a small plate on top of a normal mug to seal in the heat and moisture during steeping. Steep jasmine green tea for 2 to 3 minutes. Jasmine green tea boasts a mild flavor that can be overwhelmed by the addition of milk or sugar. Instead, try drinking it as is or simply add a slice of lemon for added flavor. Jasmine green tea boasts a delicate flavor that is sure to thrill tea lovers. The sweet, floral jasmine flavor adds a new dimension to the classic earthy flavors of green tea. It features a rich flavor profile that ranges from delicate to roasted, making it easy to find one you adore. Drinking jasmine tea is a delight. Grab a bag of loose leaf tea and start brewing today.